NANTA (COOKIN'): South Korean non-verbal live comedic theatre is back in Singapore! Hey Hallyu fans! You'll be glad to know NANTA (COOKIN') is coming back to Singapore. It's a comic musical non-verbal performance derived from the traditional Korean instrumental performance, “samulnori”. They are the longest running South Korean show with four theatres built specially for them in Seoul. It was also the first Asian show to take the stage at Broadway and has since performed in over 285 cities including London, Tokyo and Berlin. 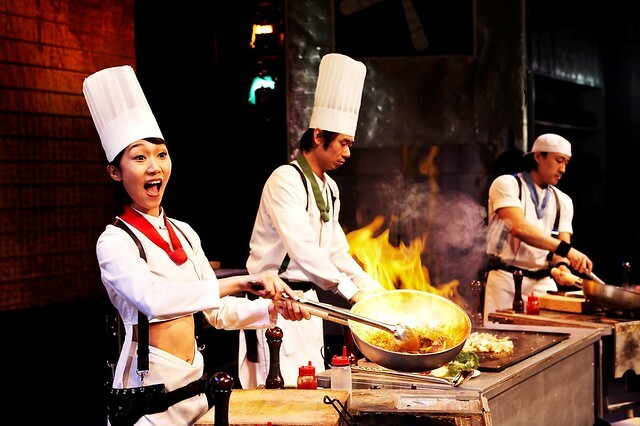 This globally acclaimed show will be returning to Singapore to cook up a storm with their non-verbal “live” theatrical performance at Resorts World® Theatre, Resorts World Sentosa from 10 to 13 July this year. NANTA (COOKIN’), which means “to strike relentlessly”, tells the comedic adventure of four chefs trying to put together a wedding banquet in a short period of time. 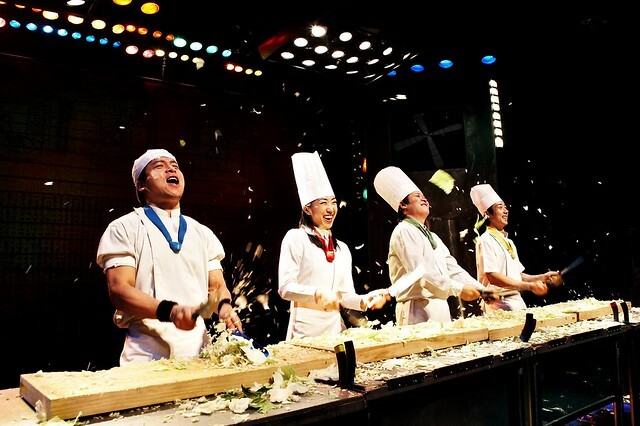 The first-of-its-kind hilarious musical in Asia turns everyday kitchen utensils into a highly-explosive “live” performance based on the traditional Korean rhythms, samulnori. Prices: S$128 (Premium), S$108 (Cat 1), S$98 (Cat 2), S$68 (Cat3) and S$48 (Cat 4). Public ticket sales start from 14 April 2014. Tickets are available via SISTIC’s sales channels. Priority bookings for HSBC cardholders is now on. They will get a 20% discount off tickets (Premium, Cat 1 & 2) until 13 April, after which the discount will be 15%. PAssion card holders will be eligible for a 12% discount (Cat 1, 2 & 3).